Microwaves are fantastic devices for those who need a way to prepare meals quickly and conveniently. They typically do this by emitting waves that vibrate the particles of the food in order to heat them up. However, the key to getting the most out of your microwave is making sure you have the one that is right for you. There are many types of microwaves, each with their own pros and cons. A solo microwave is a more basic microwave oven. It is great for uniform reheating, cooking and defrosting but cannot grill or bake. For anyone's basic microwave needs, a solo microwave oven will work, but it doesn't have special features. You can also only use microwave-safe glass or plastic in a solo microwave. A convection microwave can perform all the functions of a solo microwave, but also has additional features. Convection microwaves can also grill, bake, roast, brown and crisp foods. 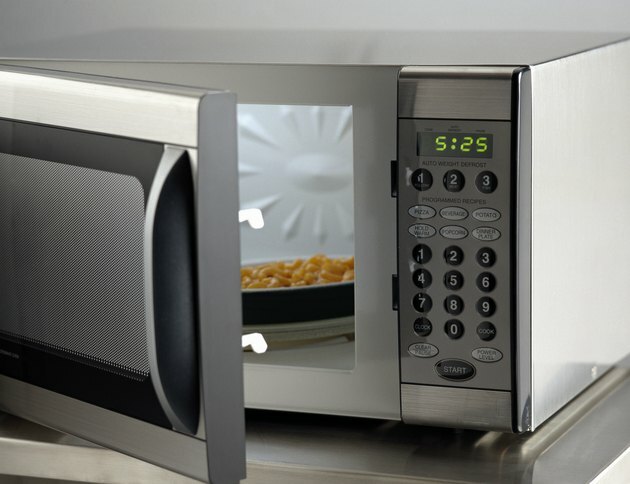 If you rely on your microwave for more than just simple reheating, a convection option is likely better for you. You can also use metal in a convection microwave oven on every setting except microwave. However, these models do tend to be a lot more expensive. Over-the-range microwaves consist of a microwave oven and a range hood. They are designed to be installed over your stove top, combining the ventilation unit and the microwave to save on kitchen space. They are wall-mounted and can be installed over any range. This choice is particularly well-suited to those with a smaller kitchen. Grill microwaves are a sort of middle ground between solo and convection microwaves. As the name suggests, they can perform the tasks of both a simple microwave and a grill. A grill microwave is a great choice for those who want their microwave to perform more than just reheating but don't have a need to baking, roasting or crisping features. A countertop microwave stands on its own on your kitchen counter. These are a better choice for those who don't want to redesign their whole kitchen to integrate a microwave or for those who rent. They can also be a good choice for kitchens with a lot of counter space. As opposed to standing on the counter, a built-in microwave fits into the kitchen as an oven typically would. For those designing a new kitchen, incorporating a built-in microwave can be a great choice, particularly if it's an appliance that gets a lot of use. They tend to look neater and prevent countertops from looking as crowded. A fairly new innovation to the microwave market is microwave drawers. These fit in where convention kitchen drawers are, so it can be a great way to save countertop space without having to redesign a whole kitchen. Because they're newer, though, they can be harder to find and have installed.